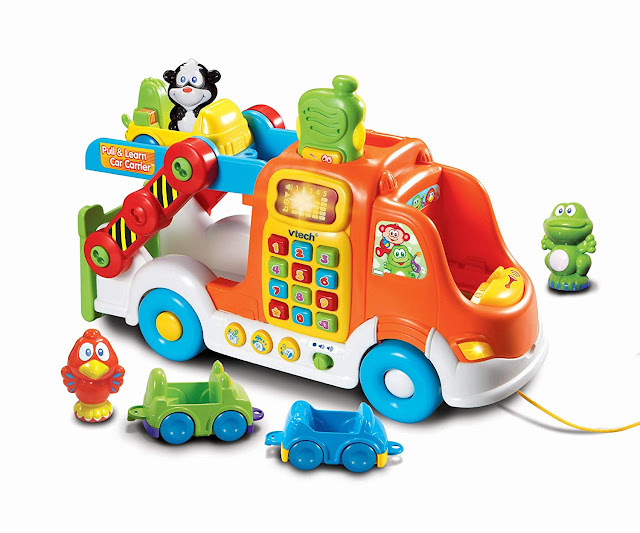 The pull-along toys are the best companion of the kid when they are ready to walk. They teach kids in different ways like how to make balance while they are pulling toy? How to manage himself and toy both smoothly walk along without any hurdle? So many pull-along toys are available in the market with colours, shapes, sizes, and skill levels. Here I suggest a few five best pull-along toys for your kid, you may choose your best for your little one. 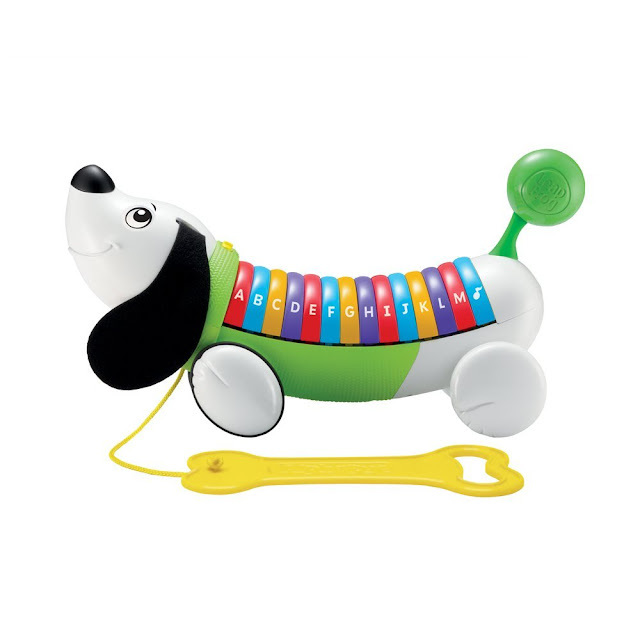 The toy is very beautifully designed; it looks like an original puppy with a sleek and colourful body. 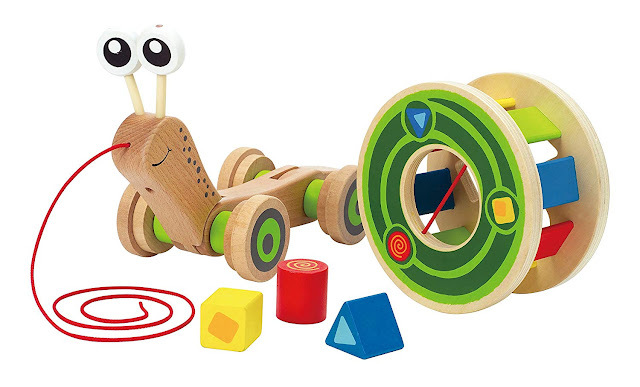 The toy made with premium wood finished with child safe and non-toxic materials. 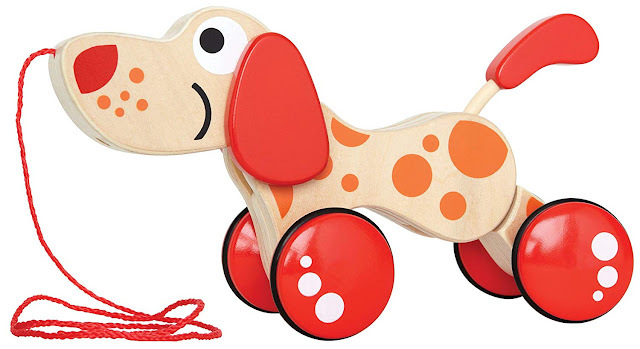 The 4 wheels of the puppy rimmed with rubber for frictionless movement on any surface and also minimize the noise as well as helps in preventing scratches on the floor. A pull string is long enough you may extend it to joint other one string as you required. 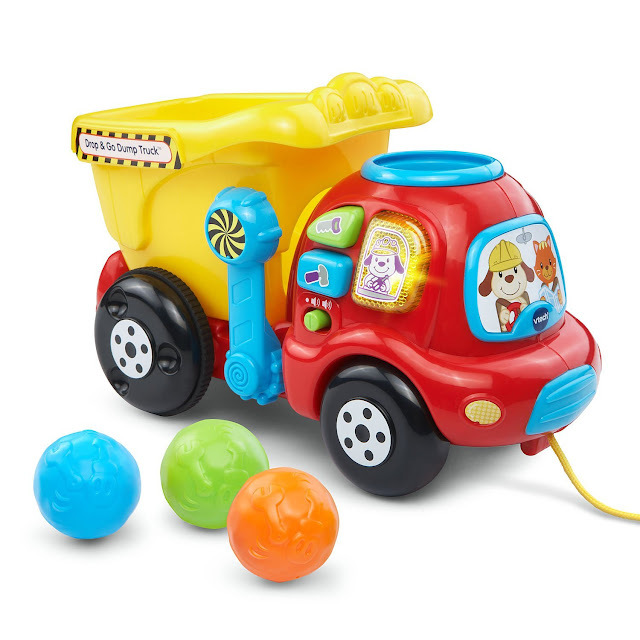 The Toy comes with 3 rock boulders these can be loaded or unloaded in the truck; dropping colourful rocks into the truck to hear them counted; moving the handle to lift the truck bed to tip the rocks out, and pushing the side buttons on the toy to hear phrases and songs. The buttons also teach different tools and colours. The toy helps the child in learning different skills like hearing ability and hand-eye coordination. The battery required for regular use of this toy. 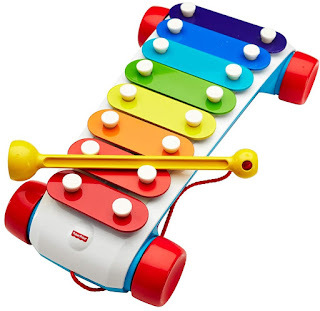 Before buying any toy considers few things as I described in 6 Tips for Buying Toys for Kids, Here I suggest you best and most rated toys in the market.